Attirampakkam is an open-air Palaeolithic site situated near a meandering tributary stream of the river Kortallaiyar, northwest of Chennai, Tamil Nadu, along the southeast coast of India. Discovered in September 1863, by Robert Bruce Foote and his colleague William King, it was investigated in the early to mid 20th century by several scholars- T.T. Paterson, V.D.Krishnaswami and K.D.Banerjee. S.Pappu's doctoral dissertation on the prehistory of the Kortallaiyar river basin (see publications), highlighted the importance of the context of artefacts at this site, in addition to other observations on the nature of the prehistoric record of this region. Excavations at Attirampakkam were initiated in 1999 to establish the stratigraphy and culture sequence, to obtain a secure chronology and to study the assemblages with a view towards investigating changing patterns in hominin behavior over the Pleistocene. Ongoing research at this site has resulted in new perspectives on the Acheulian and Middle Palaeolithic in South Asia. Establishment of a long stratigraphic sequence of stratified Acheulian and Middle Palaeolithic occupation levels. Discovery of a new Acheulian horizon within deeply buried deposits, not known previously. Establishment of the oldest Acheulian in India dated to around 1 to 1.7 Ma (Million years ago), with implications for dispersals of Homo erectus s.l. across Asia. Detailed investigations of stone artefact manufacturing sequences, their typology, and technology from the Acheulian to the Middle Palaeolithic with new perspectives on hominin behaviour. Experimental reconstruction of tool manufacturing sequences and uses, and new initiatives in microwear on tool edges. Studies of sediments that resulted in new perspectives on palaeomonsoons in this region over a period spanning Acheulian and Middle Palaeolithic occupation. Investigation of past vegetation at the site using phytoliths and pollen proxies. Read the full paper in Science, March 25th, 2011. South Asia is rich in Lower Paleolithic Acheulian sites. These have been attributed to the Middle Pleistocene on the basis of a small number of dates, with a few older but disputed age estimates. Here, we report new ages from the excavated site of Attirampakkam, where paleomagnetic measurements and direct 26Al/10Be burial dating of stone artifacts now position the earliest Acheulian levels as no younger than 1.07 million years ago (Ma), with a pooled average age of 1.51 ± 0.07 Ma. These results reveal that, during the Early Pleistocene, India was already occupied by hominins fully conversant with an Acheulian technology including handaxes and cleavers among other artifacts. This implies that a spread of bifacial technologies across Asia occurred earlier than previously accepted. You can also check out perspectives on this paper by Robin Dennell in the same issue of Science. This page is being updated. We will be adding links to our publications very soon. Warrier, A.K., K. Sandeep, B.G.Harshavardhana, R.Shankar, Shanti Pappu, Kumar Akhilesh, C.N.Prabhu and Y.Gunnell. 2011. A Rock Magnetic record of Pleistocene Rainfall Variations at the Site of Attirampakkam, Southeastern India, Journal of Archaeological Science, Volume 38 (12):3681-3693. Shanti Pappu, Kumar Akhilesh, Sudha Ravindranath, Uday Raj 2011. From Stone Tools to Satellites: Recent Research into the Prehistory of Tamil, Ancient India, 70-87. Pappu, Shanti, Yanni Gunnell,Kumar Akhilesh, Régis Braucher, Maurice Taieb, François Demory, Nicolas Thouveny, 2011, Early Pleistocene Presence of Acheulian Hominins in South India, Science, March 25th, 331(6024):1596-1599. Pappu, Shanti, Kumar Akhilesh, Sudha Ravindranath, Uday Raj and Yanni Gunnell 2010, Research and Management of Palaeolithic resources in Tamil Nadu, South India, Antiquity Project Gallery. Pappu, Shanti, Kumar Akhilesh, Sudha Ravindranathand Uday Raj 2010. Applications of Satellite Remote Sensing for Research and Heritage Management in Indian prehistory, Journal of Archaeological Science 37:2316–2331. Pappu, Shanti, Kumar Akhilesh, Sudha Ravindranathand Uday Raj 2009. A Forgotten Heritage: Impact Assessment Studies at Prehistoric Sites in Tamil Nadu, in Space, Time and Place, III International Conference on Remote Sensing in Archaeology, 17-21 August, 2009, Tiruchirappalli, (Maurizio Forte, Stefano Campana and Claudia Liuzza Eds. ), Oxford:BAR International Series 2118, pp. 253-263. Rajaguru, S.N., S.Pappu, S.G. Deo, and S. Mishra, 2009. Earth Sciences and the Lower Palaeolithic: Recent Research and Future Prospects, in Recent Research Trends in South Asian Archaeology (Paddayya, K., Joglekar, P.P., Basa, K.K. & Sawant, R.Eds. ), Pune:Deccan College Postgraduate and Research Institute. Pappu, Shanti 2009, Comments on the paper entitled Quaternary Stratigraphy of the Kortallaiyar-Cooum Basins, by Hema Achyuthan and Nagalakshmi Thirunavakarasu, Journal of the Geological Society of India, 73:683-696. Arun K. Sreedhar, S. Balakrishnan, Shanti Pappu and Kumar Akhilesh 2008. Clay mineralogical studies of sediments and strontium isotope analyses on calcretes at the prehistoric site of Attirampakkam, Tamil Nadu, Current Science, 94 (6), 2008: 779-786. Bonnie A.B. Blackwell, Andrés Montoya, Joel I.B. Blickstein, Anne R. Skinner, Shanti Pappu, Yanni Gunnell, Maurice Taieb, Akhilesh Kumar, Joyce Lundburg 2007. ESR analyses for teeth from the open-air site at Attirampakkam, India: clues to complex U uptake and paleoenvironmental change, Radiation Measurements. (2007), doi: 10.1016/j.radmeas.2007.05.040. Pappu, Shanti and Kumar Akhilesh 2007. Recent Research into the Palaeolithic Archaeology of Northern Tamil Nadu, in Human Origins, Genome and People of India, (A.R.Sankhyan and V.R.Rao Eds. ).New Delhi:Allied Publishers, pp. 309-316. Pappu, Shanti 2007. Changing Trends in the Study of a Palaeolithic Site in India: A Century of Research at Attirampakkam, in ­The Evolution and History of Human Populations in South Asia, (M.D.Petraglia and B.Allchin Eds. ), Inter-disciplinary Studies in Archaeology, Biological Anthropology, Linguistics and Genetics Series: Elsevier, pp. 121-137. Pappu, Shanti. 2007. Geographic Overviews, Asia (South)/Asia, South: Palaeolithic Cultures of South India, in The Encyclopedia of Archaeology, Elsevier. Gunnell, Y., Rajashekar, C., Pappu, S., Taieb, M. and Kumar, A. 2006. On the Depositional Environment of Lower Palaeolithic Horizons at the Prehistoric Site of Attirampakkam, Tamil Nadu, Current Science, 2006, 91,114-118. Pappu, Shanti and Sheila Mishra, 2006. International Symposium on Migration and Evolution of Early Humans in the Old World, (Baise-Guangxi, China), Man and Environment XXI (1):126. Pappu, Shanti 2006. Prehistory in Tamil Nadu: The Need for Links and Communication, in Negotiations with the Past: Classical Tamil in Contemporary Tamil (M.Kannan and Carlos Mena Eds.). Pondichery: Institut francais de Pondichery, and Berkley, University of California, pp. 1-24. Shanti Pappu 2006. Ethnoarchaeological research in Indian prehistory, in Past and Present: Ethnoarchaeology in India, (Gautam Sengupta, Suchira Roychoudhury and Sujit Som Eds.). Pragati Publications, New Delhi, in collaboration with Centre for Archaeological Studies and Training Eastern India, pp.43-58. Pappu, Shanti and Kumar Akhilesh. 2006. Preliminary Observations on the Acheulian Assemblages from Attirampakkam, Tamil Nadu, in Axe Age. Acheulian Toolmaking from Quarry to Discard (Naama Goren-Inbar and Gonen Sharon Eds.). London: Equinox Publishing Ltd., pp. 155-180. Pappu, Shanti and Kumar Akhilesh 2005. 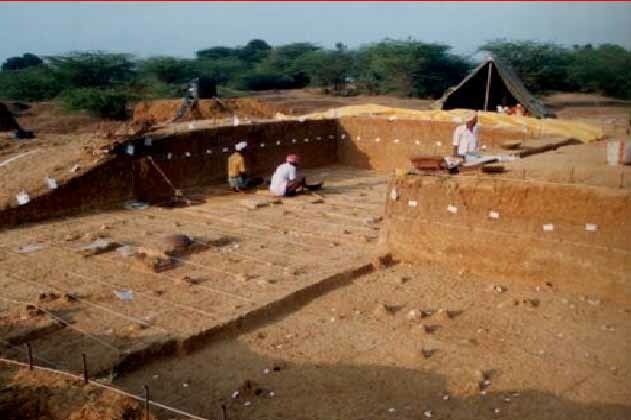 Prehistoric Archaeology and Community Education: earning from excavations at Attirampakkam, Tamil Nadu, Humankind, 1:131-145. Pappu, Shanti 2005. Archaeological Research and the Community: An example from Tamil Nadu, in Professor A. Sundara Felicitation Volume, in press. Pappu, Shanti, Yanni Gunnell, Maurice Taieb and Kumar Akhilesh 2004. Preliminary Report on Excavations at the Palaeolithic Site of Attirampakkam, Tamil Nadu (1999-2004), Man and Environment, Volume XXIX (2):1-17. Pappu, Shanti 2004. Down ancient trails: hunter-gatherers in Indian archaeology, in Hunter-Gatherers in History, Archaeology and Anthropology, (Alan Barnard Ed. ), New York:Berg, pp. 129-142. Pappu, Shanti. 2004. Robert Bruce Foote and the Kortallayar Basin in Indian Prehistory: Old Problems and New Approaches, in Proceedings of the R.B. Foote Memorial National Seminar (1995) on Indian Prehistory and Protohistory (Recent Advances), (A. Sundara Ed. ), pp. 45-67. Directorate of Archaeology and Museums, Government of Karnataka. Pappu, Shanti, Yanni Gunnell, Maurice Taieb, Jean-Philippe Brugal, Yannick Touchard 2003. Ongoing Excavations at the Palaeolithic Site of Attirampakkam, South India: Preliminary Findings, Current Anthropology 44(4): 591-597. Pappu, Shanti and Kumar Akhilesh 2003. The Palaeolithic Archaeology of the Kortallayar river basin, Tamil Nadu Kalvettu (Publication of the State Department of Archaeology, Government of Tamil Nadu) :16-23. Pappu, Shanti ,Yanni Gunnell, Maurice Taieb, Jean-Philippe Brugal, K. Anupama, Raman Sukumar and Kumar Akhilesh 2003. Excavations at the Palaeolithic Site of Attirampakkam, South India, Antiquity, 77(297) 2003. Pappu, Shanti 2002. Excavations at the Palaeolithic Site of Attirampakkam, 2002, Avanam (journal of the Tamil Nadu Archaeological Society). Pappu, Shanti 2001. Middle Palaeolithic Stone Tool Technology in the Kortallayar Basin, South India, Antiquity 75, 287:107-117. Shanti Pappu 2001. In the Footsteps of Foote: Recent Excavations in South India, Past, The Newsletter of the Prehistoric Society, University College, London, Vol. 37, April. Pappu, Shanti 2001. The Environment in Prehistoric Research: A Case Study from the Kortallayar Basin, Tamil Nadu, in People and Environment in India: Essays in Environmental Anthropology (K.K. Misra and M.L.K. Murty Eds. ); pp.24-38. New Delhi: Discovery Publishing House. Pappu, Shanti 2000. Archaeology in Schools: An Indian Example, Antiquity 74(2000): 485-6. Pappu, Shanti, K.V. Raman and N.C. Ghosh 1999. Archaeology for Children: A Note on the Sharma Children's Museum, Man and Environment XXIV(2):91-92. Pappu, Shanti 1999. A Study of Natural Site Formation Processes in the Kortallayar Basin, Tamil Nadu, South India, Geoarchaeology: An International Journal, 14, 2: 127-150. Pappu, Shanti 1998. Discover India Gallery: The First Internet Site on Indian Archaeology, Archaeological Computing Newsletter, 50: 21. Pappu, Shanti and Hema Achyutan 1997. Observations on the Geomorphology and Archaeology of Erumaivettipalayam, Red Hills, Tamil Nadu, Man and Environment, XXII(1):87-90. Pappu, Shanti 1996. Reinvestigation of the Prehistoric Archaeological Record in the Kortallayar Basin, Tamil Nadu, Man and Environment, XXI (1):1-23. Pappu, Shanti, A. Kshirsagar and Vijay Sathe 1994. Discovery of a Middle Holocene Sub-Fossil Bone from Tiruvallur Taluk, Chingleput District, Tamil Nadu, Current Science, 67(6):431-433. Pappu, Shanti, Interview with Dr. Bridget Allchin and Dr. F.R. Allchin, conducted in September 1998, at Garhwal, Srinagar; published on the Discover India Gallery internet site: http://www.picatype.com/dig/dig.htm and in Man and Environment XXIII (2): 127-130. Pappu, Shanti 1994. Pleistocene Landforms and Artefact Contexts in the Kortallayar Basin, Tamil Nadu, Draft Papers: Neogene and Quaternary. Settlement and Technology. World Archaeology Congress-3. New Delhi. Pappu, Shanti 1991-92. Robert Bruce Foote and the Formation Processes of the Archaeological Record, Bulletin of the Deccan College Post-Graduate and Research Institute, Prof. S.M. Khatre Felicitation Volume, 51-52:647-65. Pappu, Shanti 1991. Review of the book “Model for Land Use in Late Acheulian Tradition, Satna District, Madhya Pradesh” by Prakash Sinha, 1991, Allahabad: Prayag Pustak Sadan, in Eastern Anthropologist: 424-427. Pappu, Shanti 2001. A Re-examination of the Palaeolithic Archaeological Record of Northern Tamil Nadu, South India. Oxford: BAR-International Series 1003. Pappu, Shanti. 2007. The Lower Palaeolithic Culture of India (online text-book commissioned by the Council for Scientific and Industrial Research, CSIR, Government of India, for undergraduate students).submitted in 2006 (no further information available as whether this was later assigned an ISBN/ISSN number). Pappu, Shanti. 2003. Stories in Stone: The Prehistory of Tamil Nadu, (IWA Endowment Lecture), Bulletin of the Government Museum, Chennai Madras Museum, New Series-General Section XVI-3. Chennai: Commissioner of Agriculture and Museums, Government Museum, Egmore. Focus on overall direction and coordination of research program. Specific studies on lithic typology and technology, ethnoarchaeology and site formation studies. Experimental Archaeology & Lithics: Dr.Kumar Akhilesh. Collaborating Institutes: Geomorphology & Paleoenvironments: Prof.Yanni Gunnell; Department of Geography, Université Lumière-Lyon 2, CNRS-UMR 5600, France, Maurice Taieb, CEREGE Aix-en-Provence, France. Animal Action at archaeological sites: Prof. R.Sukumar, R.Nachiketha, Centre for Ecological Sciences, Indian Institute of Science, Bangalore. Palaeomagnetic Dating: Prof.Nicolas Thouveny, Prof.Maurice Taieb; Dr.François Demory, CEREGE Aix-en-Provence, France. 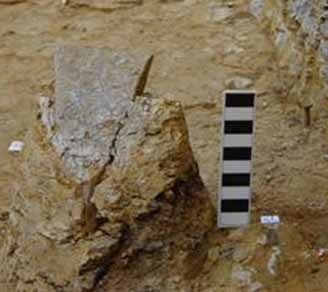 Cosmogenic Nuclide Dating: Dr.Régis Braucher, CEREGE Aix-en-Provence, France. ESR Dating: Prof.Bonnie A.B. Blackwell, Prof.Anne Skinner, Dr.Andrés Montoyab, Dr.Joel I.B. Blickstein, Department of Chemistry, Williams College, USA, and RFK Science Research Institute, NY, USA; Dr.Joyce Lundberg, Department of Geography and Environmental Studies, Carleton University, Canada. For supporting this project in terms of financial and logistic aid from 1999 onwards.